Many times in history, feeding masses with little to no money was an issue. Other times, food was abundant, but manufacturers wanted it to look better, taste better, or last longer. English bakers in the 1600s found themselves short on flour because wheat was scarce and expensive. With a living to make and a lack of supplies, they turned to sawdust and chalk. King John had enacted the Assize of Bread in the 1200s, providing one of the first food regulating laws in history, but this only stated that bakers had to mark their loaves and they had to weigh a certain amount to be up to regulation. It said nothing of the ingredients. Similar ordinances were put into place for wine, a commonly adulterated food, and butter, which was found to contain more than butter quite often. How did food regulation get its start in the United States? Colonial America had its own regulations, similar to those of England, requiring inspection of flour and pork barrels. Massachusetts became the first state to ban food adulteration, with many states following in the late 1700s. These statutes, however, did not require the labeling of foods. Once the industrial revolution started to streamline food production, issues arose. Canning allowed foods to be preserved to be shipped around the country. Mass production stopped the face-to-face interaction of purchasing foods from a farmer or baker and instead, food purchasing involved a store and no sight of the food production. The poem written by Doctor Harvey Wiley of the Bureau of Chemistry shared the sentiment of America when bread contained chalk, cocaine was in medicine, borax preserved foods, strychnine made beer more bitter, and formaldehyde prevented rot in meat. Industrialization of food had created a monster. Profits came before the people as companies wanted to have the best looking or cheapest foods to make more money. As Deborah Blum, author of The Poison Squad tells NPR, the people had put faith in the idea that food came from farms, pure and unadulterated. This was, unfortunately, not true at all. Taking, for example, the production of milk, dairymen, and manufacturers wanted to stretch the product for higher profits. In many cases, it was watered down. In one case in Indiana, it was watered down with dirty pond water. Once milk had been watered down, it looked like it had been, so they would put a plaster or chalk in the milk to give it the opaque white quality back. Some would use toxic dyes to give it a more appealing color than the gray and blue it had. Formaldehyde was used to prevent premature spoiling, so milk could be sold after longer periods of time without refrigeration, which was still not around. Red lead helped give cheddar its orange and arsenic gave candies their shellac shine, but who would stop these companies? Dr. Wiley recruited young men at the USDA and students from Georgetown Medical College to receive free meals from the government, three times per day. He assured them they would be eating delicious full-course meals, prepared by a chef, but that they would also be consuming potentially dangerous chemicals currently being used as food additives, such as borax, formaldehyde, salicylic acid, and more. Participants seemed to be raining in, surprisingly, but Dr. Wiley kept it to a dozen young, healthy men. During the experiments, journalists reported on the young men, dressed in suits as they dined on poisons. The Los Angeles Herald wrote an article about the Poison Squad in January 1903, relaying their daily menu, breakfast through dinner. They described the boric acid “bullets,” the capsules of boric acid the squad consumed at each meal. The public was enchanted by the men with poems, signs, and songs about the squad appearing around the country. The public was also now worried about the foods they ate and wanted to know if they were safe. Most of the Poison Squad went down in history unnamed and unthanked, but their suffering had not been completely unnoticed. In May of 1903, Wiley’s Poison Squad went on strike, citing their stomach pains and discomfort was too much in the heat of summer. Dr. Wiley agreed to end the experiment early in June with just seven men. The experiment had concluded that borax was a cause of stomach aches, headaches, and appetite issues. Even with the conclusion of the first experiment, new men were ready to volunteer for the next experiment. Unfortunately, or perhaps, fortunately, Dr., Wiley had to stop the salicylic acid experiment early due to the subjects’ reactions. Some of his volunteers withdrew from the tests and doctors remarked that some of the men were on a “slow approach toward death.” Nevertheless, Doctor Harvey Wiley had more poisons to test. Dr. Wiley’s initial Poison Squad had allowed him to say, without a doubt, that borax, boric acid, salicylic acid, benzoic acid, benzoates, formaldehyde, sulfuric acid, and sulfates were unsafe. 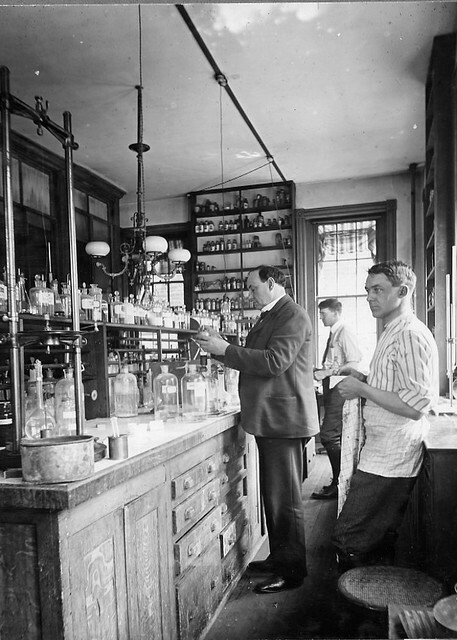 Robert Freeman, of the original Poison Squad, died of tuberculosis, possibly weakened by the experiment. Though his mother wanted to sue, he had signed the agreement absolving them of any possible effects. So Wiley found volunteers at the Bureau of Chemistry who ingested soft drinks that were meant to be nerve tonics. They were suspected to contain cocaine, opium, caffeine, or other various stimulants. With the experiments complete in 1908, Dr. Wiley announced his opinion that Americans were shortening their lives by consuming the food additives used. His words were not completely welcomed. The food industry attempted to defame Dr. Wiley, but he seemed a model citizen. Food manufacturers attempted to pay Congress to keep additives legal, but the Pure Food and Drug Act of 1906 signaled the return to real food. Although he felt that certain other additives and bleached flour were also unsafe, many of those are still in use (and debated) today. Wiley’s work inspired other “poison squads” to test against food additives and stimulants. He became head of the Good Housekeeping laboratory and tested products and foods for 18 years with them. Our food additive approach in America might still not be quite perfect, but to say we have not come a long way would be ignoring the hard work and dedication to consumers that Doctor Harvey Wiley and the men of the Poison Squad performed. Eating whole foods right from the source is an option that can ensure you know exactly what is in your meals. People like Wiley will continue to fight for the future of food and consumers. For more articles check out our fill your plate blog. Looking for some fun recipes to make at home? Check out our recipe page. This entry was posted in Ag Facts, Farm Safety, Food Facts, Food Safety, Legislation and tagged agriculture, food, food Additives, food safety, Regulation, usda. Bookmark the permalink.